We’d love to tell you all about Nanuya Island Resort! Within this ABOUT section, you’ll find a number of Menu Buttons. By clicking on any one of them you be taken to the appropriate section. 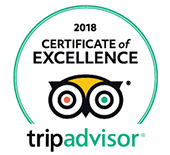 There’s the amazing history of how Nanuya Island Resort was started, the continuance of that vision by the current owners, Ivan and Val Parker and various pieces on what the world at large thinks about us – Awards and Press. 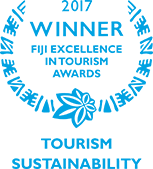 We are also very proud of our focus on sustainability and how it impacts upon both the guest experience and local inhabitants’ quality of life. We urge you to read all about Nanuya Island Resort. It’ll make you want to visit us even more!